I spent a year living and working in Hong Kong, immediately after graduating university, and while I was terrified at first, and really didn't think I liked the city much during the first few months, it wound up being a place I fell in love with. My year there gave me plenty of time to explore as much of the city as possible, and experience a lot of the culture. I had my reasons for leaving, and I don't plan to live there again, but I would happily go back and visit again. So, since I've written A-Z guides for Edinburgh and Paris previously, cities I've lived or spent a lot of time in, I thought it was about time I put together an alphabetic guide of the most recent place I lived too. Alphabetic guides sometimes involve skipping sights with the same letter, so for my Top Ten Sights in Hong Kong, click here. This is the area between Central and Wan Chai, two of the most popular areas on Hong Kong Island, and Admiralty can be overlooked sometimes, as just the area between them. True, it lacks the nightlife and shopping of both other districts, but is instead home to a lot of important businesses and offices, and many of the foreign consulates (I had to make trips to both the British and Korean offices while living there!). The Admiralty MTR station is also a major interchange station, where the Island and Tsuen Wan lines intersect - I would strongly recommend avoiding this station between about 5-7pm, as it's flooded with commuters changing lines to cross the harbour and go home! Officially names the Tian Tan Buddha, but it's so nicknamed because of (funnily enough) its vast size. 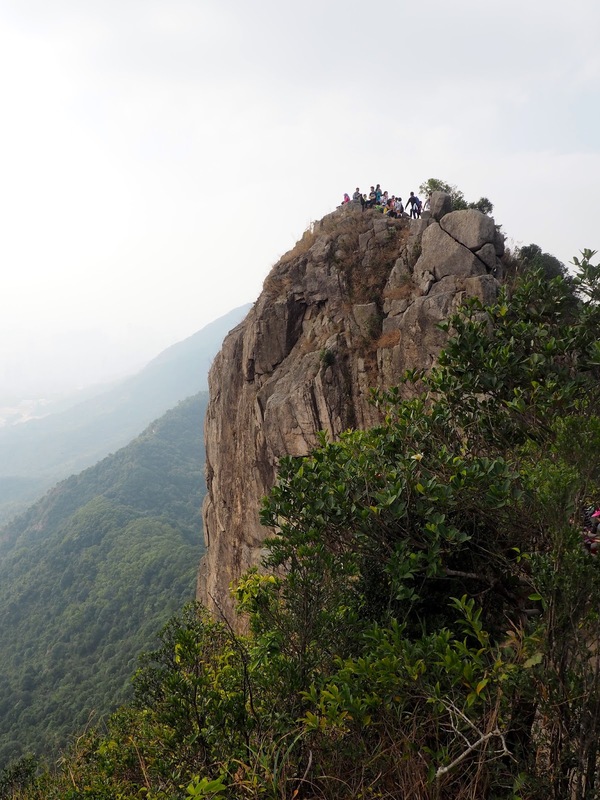 It's located on Lantau Island, and towers above the city on the mountain top. The most popular way to get to it is the Ngong Ping cable car, though there's a bus option too. The Buddha is the highlight of course, but once you reach the mountain top you can also visit the shops and cafes in Ngong Ping village nearby, and Po Lin Monastery, whose Hall of Ten Thousand Buddhas is staggeringly lavish. You can climb all the way up the 200 and something stairs to the Buddha itself, for close up views too. The hub of the city. This is the heart of the business district, with many company offices located here, and numerous skyscrapers which serve as banking headquarters. The buildings here are some of the most iconic in the city, though you get the best view of them from the Kowloon side of the harbour. Central also has plenty of shopping options, especially in luxury and designer brands, whose flagship stores are here. The SoHo and Lan Kwai Fong districts are also located here, so there's endless restaurants and bars to choose from, and it's not uncommon to find yourself here at the weekends. Just up the hill from Central is Mid-Levels (there's no clear boundary between them), which is a popular place to live, for expats in particular. The Peak towers behind Central, and on the harbour front is the Observation Wheel and the Central Piers. Night photography around Central here. Hong Kong's Disneyland park may not be as big as some of their other locations around the world (certainly not Florida's the only other one I've been to), but that in no way lessens the magic of a visit there. The park is out on Lantau islands, and has its own special MTR line to get there. Ocean Park is often considered the better of HK's two theme parks, with its bigger rides, but it doesn't have the same childhood magic of Disney. I spent a day there with my mum and sister, and even though it's small, you'd be pressed to get around every single ride in a day! We did a lot though, and my favourite parts are the live shows, the parades, and the fireworks. All of my students seemed to have visited at some point too, and Disney characters are especially popular among them. One of Hong Kong's most unique features are the Mid-Levels Escalators, the longest outdoor covered escalators in the world. Since the city centre is built up a hillside, and can be a pretty steep climb, outdoor escalators have been installed, which will carry you up 135m in elevation, from Queen's Road all the way to Conduit Road. There are dozens of places to hop on and off on the way up though, which is handy for getting around, and many people use them as part of their daily commute. It can also be fun to just ride your way through the city and observe what's going on around you, maybe hopping off if you spot something of interest. Street food can be found in abundance throughout the streets of Hong Kong, but one of the most popular local delicacies is fish balls. You'll be served several of them on a skewer, and there's sometimes a choice between plain and curry (meaning they've been boiled in a spicy sauce). The fish itself has a slightly rubbery, bouncy texture (I'm not sure why), and I'm not much of a fish person, so they aren't my favourite dish, but they're worth trying if you're visiting. Cheung Chau island is particularly well-known for serving giant sized ones! Most people think of the colossal skyscrapers that dominate the skyline when they first think of Hong Kong, but in truth, around 70% of it is open countryside. Of this, a large portion of the New Territories is designated a geopark, and is part of UNESCO's Global Geoparks network. Even though I was living in a very densely packed area, you can hop on a bus and be in the countryside in under half an hour. There are numerous other country parks, as well as the major geopark, which is why I did so much hiking while I was living there. Lion Rock was a favourite of mine, but the Sai Kung area is also popular, with its volcanic formations, though I didn't get a chance to explore there, as it's quite far from the city. Read more about Hong Kong hiking here. Victoria Harbour (I'm using letter V for something else!) is the centrepiece of Hong Kong, and probably my favourite place in the city. It separates Hong Kong Island from Kowloon, but you can sail across it in just 5 minutes on the famous Star Ferry, which has been crossing the harbour for over 100 years now. I like the openness of the harbour, which gives you a place to breathe inside such a crowded city. The views from both sides are pretty spectacular, though I prefer to be on the Kowloon side, looking at that iconic skyline of the island, and every night the whole thing lights up to a musical accompaniment along both sides for the Symphony of Lights show, which is the "Largest Permanent Light and Sound Show" in the world. Read more about the Light Show here. Hong Kong Island is the heart of the city, and the most famous island, but there are many more pockets of land that make up the whole of Hong Kong. Lantau Island is one of the biggest, linked to the New Territories by the MTR, and home to the airport, Big Buddha, and Disneyland. The Outlying Islands are great day trips too, accessible by ferries from the Central Piers. I explored other parts of Lantau this way too, like Cheung Sha beach, which is easier to reach by ferry. Lamma Island is a popular one, which I walked around in a day, and one of our best day trips was to Cheung Chau Island, which is small but has plenty to explore. Read more about Cheung Sha, Lamma, and Cheung Chau. Spend some time watching Victoria Harbour and you're bound to see one of the traditional Chinese junk boats sailing through, with their dark wood and bright red sails - these and the Star Ferry are the most iconic boats to spot in the harbour! They're beautiful to watch, but when you say you're going to a junk boat party, you won't be on one of these. It's a popular type of party in HK, to grab 20 or so friends and everyone chips in to pay to hire a boat for a day (they're modern, motor boats now), which will sail you out of the city and moor near an island, where you can jump into the water. You can get food and drink provided too, or bring your own, and just spend the day relaxing and partying and swimming - most of these parties do get pretty silly and crazy! Read more about a junk boat party here. 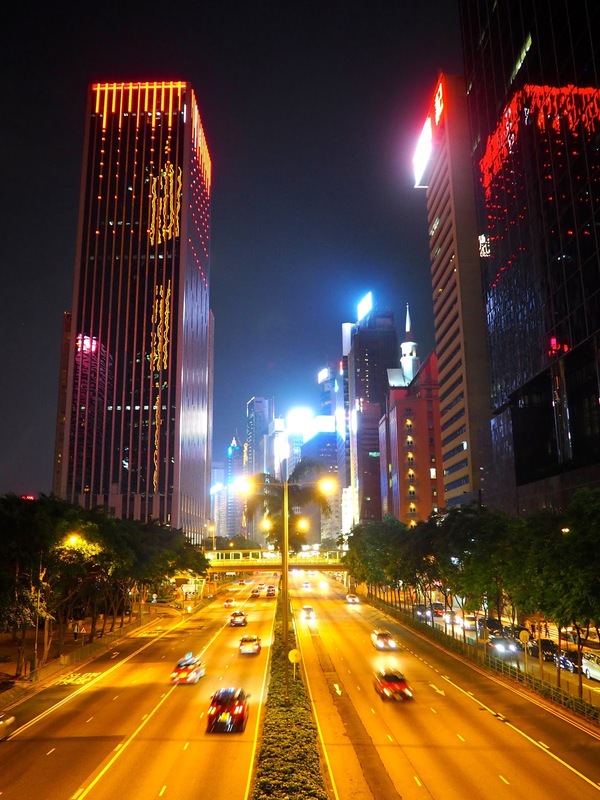 There are three major areas to Hong Kong - the Island, Kowloon, and the New Territories. Kowloon is immediately across the harbour from the Island and the area I lived in while there. Many expats like the Island best, but I preferred Kowloon mostly. It's an area full of character, and most of the architecture here is more worn and lived in than the modern skyscrapers in Central. The streets are narrow and the buildings tower above. Here you'll find modern shopping malls, but also tiny hole-in-the-wall restaurants, open parks and outdoor swimming pools, dozens of independent shops selling everything you could imagine, and street markets and food stalls around every corner. While all of HK is Westernised to an extent, Kowloon feels a little more historic and authentic to me than the Island does. Or LKF, as most foreigners will call it. This is the place to be on a Saturday night. It sprawls across a couple of streets in Central, and is a mass of bars and clubs. There are dozens to choose from, and after a few nights here, we started to figure out which ones we liked, but there are always more to try. However, a good part of any night out here will be spent on the street, as the whole road becomes saturated with people standing outside, mostly consuming drinks bought in the large 7eleven in the centre of it all, since public drinking is legal and it's far cheaper than any of the clubs and bars. And everything stays open all night, so you usually wander home again at around 6am, often once the MTR is running again, though there are cheap minibuses if you head home earlier. This is the most densely populated area of Hong Kong, and since HK is the busiest city in the world, this makes it the most densely populated spot on the planet, with 130,00 people in 1 square km. And this is where I lived all year! It could be frustrating, as it was also so loud and crowded, and it takes forever to weave your way through the crowds. However, it was also highly entertaining and interesting. I lived next to Ladies Market, one of the city's most famous street markets, and the neighbouring street (Sai Yeung Choi) played host to every kind of street performer on weekend nights, with street karaoke being the most popular choice (both annoying and amusing, depending on my mood). It's definitely an area to check out if you're visiting! This is the largest part of Hong Kong, and the area to the north of the city, bordering Mainland China. It's probably an area I spent less time in, as it doesn't have the busy hubs that exist in Kowloon and on the Island, but it does have a lot of the open countryside I went hiking in. This area typically has more locals living here, and far less expats than you'll find in the other two areas. My school was here, so I had to travel there every day, but the area I worked in was mostly just schools, homes, and shops. This is also the area that was leased to the British, rather than given over like Kowloon and the Island, and it was because this lease was about to run out that the decision was made to hand the whole of Hong Kong back to China. Ocean Park is the bigger of Hong Kong's two theme parks, and typically the more popular, certainly so with older kids and adults who want the big rollercoasters that Disneyland doesn't have. It's also part zoo, with lots of animal exhibits (I have mixed feelings about the ethics of these places, but the only exhibit I was concerned about was the wallabies who looked pretty sad in their small space...), and there's plenty of smaller rides, for wimps like me who don't like rollercoasters much. The Rev Booster, Sea Life Carousel and Raging Rapids were all fun for me, and the Grand Aquarium is very cool! The evening light, sound and water show, 'Symbio' is also worth staying late for. Read about my 3 visits here. This is a famous hotel is located near the harbour in Tsim Sha Tsui. It's beautiful facade and the fact that it's the oldest hotel in Hong Kong make it important enough, but it's also famous for its afternoon tea. A few hotels do similar affairs, but the Peninsula is the most iconic. It's served in the Lobby, where you can also hear a group of musicians playing from a balcony above. The standard set comes with a 3 tier platter of sandwiches, cakes and scones, and a choice from the tea selection, or you can splurge extra and get a glass of champagne too. It's definitely not the cheapest activity in HK, but it's a fun experience to try at least once. This is the name of the large, main road stretching along the northern shore of Hong Kong Island, from Shek Tong Tsui to Wan Chai, and was the first road built in Hong Kong, by the British in the 19th century. It was originally called Main Street, but renamed after Queen Victoria, as this was the period when Hong Kong was a British colony. Queen's Road runs through the most central parts of Hong Kong, and if you're exploring Central, Admiralty or Wan Chai, you will most definitely come across it somewhere. There are dozens of beaches to be found in Hong Kong, on the Island, the Outlying Islands, and way out in the New Territories (mostly on the eastern side around Sai Kung). One of the most popular and well-known is Repulse Bay, on the southern side of the Island, accessible by a short bus ride from Central, making it one of the quickest beaches to get to. It's one of the most upmarket, expensive places to live in Hong Kong, and one of the buildings here is known for its unique hole in the middle, added for feng shui purposes (many buildings in HK are designed with feng shui in mind), to allow the dragons to fly down from the mountains to the sea. Stanley is a fishing village on the south side of Hong Kong Island, and is one of the prettiest and most expensive places to live. It's well know for its large market place and seafront restaurants, food stalls and the Stanley Plaza shopping centre, and also has a small beach nearby. It's also the site of Blake Pier, an old wooden pier with many tiny fishing boats moored nearby. I visited several times, including for a beach barbecue and to see its German Christmas market. It's busiest in June each year, when it hosts the Dragon Boat races on festival day. This is one of the most famous districts on the Kowloon side of Hong Kong, and covers the area closest to the harbour, directly opposite Central and Wan Chai. The Star Ferry crosses from here to both these locations, and the waterfront is also the sight of the Clock Tower and the Avenue of Stars, dedicated to famous people from Hong Kong. This is one of my favourite spots in the city, as it has the best view of the HK harbour skyline, especially at night when it lights up for the Symphony of Lights show. TST also has plenty of shopping and restaurants, and most of the city's museums, including Art, Space, Science, and History, the latter being the best in my opinion. Kowloon Park and outdoor swimming pool are also in the area, a nice spot to visit on hot, sunny days. Hong Kong's Underground, or subway or metro, whatever you call it in your part of the world, is know here as the MTR, which stands for Mass Transit Railway. It has 10 major lines, and plans to extend that further, and connects with several more light rail lines out in the New Territories region. It's the most popular form of public transport for most people, though the buses, and even the trams on the Island, are still a necessity as there are many areas the MTR doesn't yet extend to. Nearly everyone has an Octopus card, a reloadable transport fare card that can be used on all the public transport systems, as well as for payment in many shops. Commonly called The Peak, this is the highest point on Hong Kong Island, and rises up dramatically behind Central to its 552m pinnacle. It's regularly listed as the No.1 tourist attraction in HK, as it offers some of the best views across the city. The Peak Tram is the most popular way to reach the top, but this tends to have the longest queues too, so there's also bus services up, or you can hike up via the paths that wind back and forth up the side, as I did several times. The Peak Tower, a shopping centre and site of Madame Tussaud's, awaits you at the top, and a tram ticket includes roof access to admire the views. There are other free sites to see them from too, with the Lion Pavilion being popular, or you can take the Circle Walk for views around the island. Located on the Island, just east of Central, is perhaps best known for its nightlife, and is one of the most popular locations of going out, after LKF. Like the rest of the city on the Island, its also home to many shops and businesses for frequenting by day, but its the bars and clubs that draw the biggest crowds at night. The red light district can be found here, and in general, its not quite as upmarket as LKF, but it still has a diverse range of places to visit - I've spent evenings here listening to open-mic nights, watching rugby matches, or dancing to cover bands all night long. The Hong Kong Convention and Exhibition Centre is located on the waterfront here, which hosts many large events every year. I was close to skipping this letter, until I remembered about XO sauce, which is a spicy sauce made from dried seafood. It's not something I really used while I was living there, but it originated somewhere in the Kowloon district of Hong Kong, and can be used to season and enhance many Cantonese dishes. It's now exported to many other countries around the world too. And by this I mean the calendar of events in a year in Hong Kong. As in Mainland China, Lunar New Year is a big deal, with parades and fireworks (they also have fireworks for National Day and New Year's Eve) but most locals in HK will spend it at home with their families, so I was advised to get out of the city for that holiday, which I spent in Cambodia. Other major festivals include Mid-Autumn Festival, known for lanterns and mooncakes, and the Buddha's Birthday, when many people will visit the Tian Tan Buddha statue, and there are the special Chinese days of Ching Ming and Chung Yueng, when locals go to clean their family's gravestones. They also celebrate Western festivals too, since it's such a multicultural city, with Christmas being the most widely celebrated, and there are public holidays for Easter too. If you want to see lots of exciting wildlife, Ocean Park has more, but the Zoological Gardens is home to lots of birds, primates and reptiles (HK is too small to house many large mammals! ), as well as hundreds of plant species. It's free to enter, so it feels more like a park than a zoo, and is actually the oldest park in Hong Kong. It's located on the Island, in the Mid-Levels area, so it's a steep walk or a bus ride up to it. It's close to Hong Kong Park, which is more unusual in design, and I visited that more often, but like all parks in HK, the zoological gardens offers a break from the busy urban areas. And that's the end of the alphabet! There's so much to see and do in Hong Kong, and so many more things that didn't make it on to list from dim sum, to temples, to markets, and things I didn't get round to doing, like the Races, the Sevens and places like Sai Kung and Tai Long Wan. Living in Hong Kong was an amazing experience, which I'm so happy I did, and would absolutely encourage people to visit this fascinating, unique city. For a catalogue of all my Hong Kong blog posts, click here.